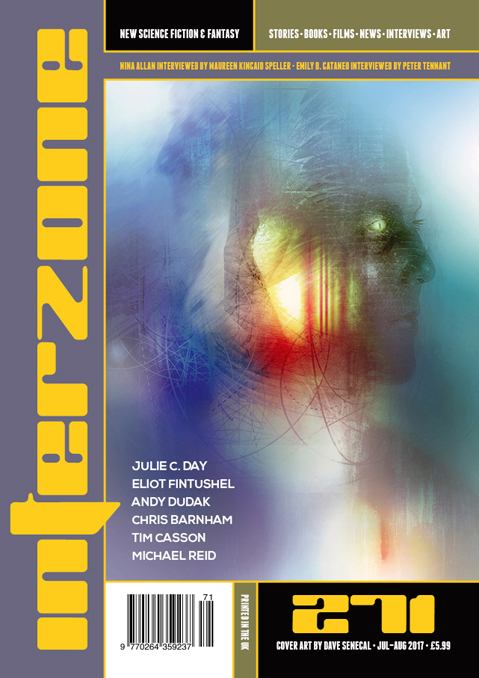 "Gods in the Blood (of those who rise)," by Tim Casson [bio] (edited by Andy Cox), appeared in Interzone issue 271, published on July 15, 2017 by TTA Press. Pro: This is about Everett’s search for the truth, and he eventually finds it, albeit at great cost..
Con: It’s hard to believe that a company would ever by allowed to genetically engineer children, much less that the product of that work would enjoy special treatment in schools. Everett is an extremely unlikable character. There is no one to root for in this story.